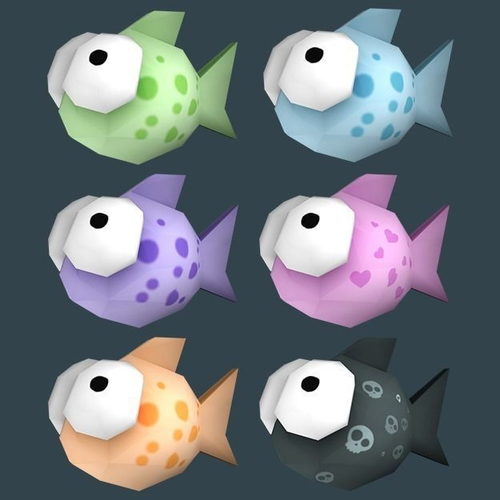 Cartoony style super-low-poly fish with 6 different textures (diffuse). Texture resolution 1024x1024 pixel. PNG files and Photoshop files with layers included and changing color is very easy. The 3D model has been created in blender.